Most of the people do not agree with the view that curtains in the kitchen enhance the beauty of the space. Curtains not only beautify the kitchen it gives encouragement to the person who is cooking in that room for her near and dear ones. It leaves a tremendous impact on the mind, gives personalized effect to that person. The kitchen curtain reflects your lifestyle, its colours, textures, and style speak about the taste of the owner. 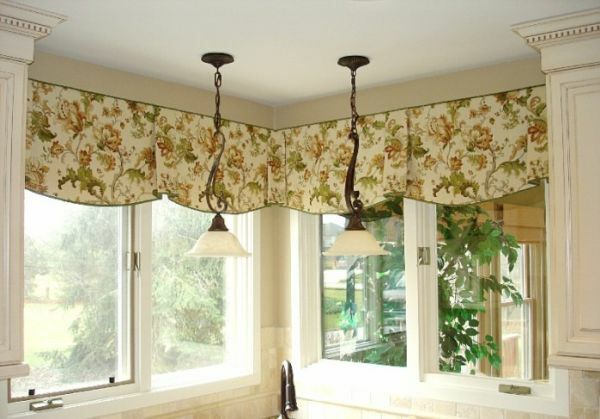 There are different forms of Kitchen Curtains. It is the easiest way to make a visual impact in the kitchen. 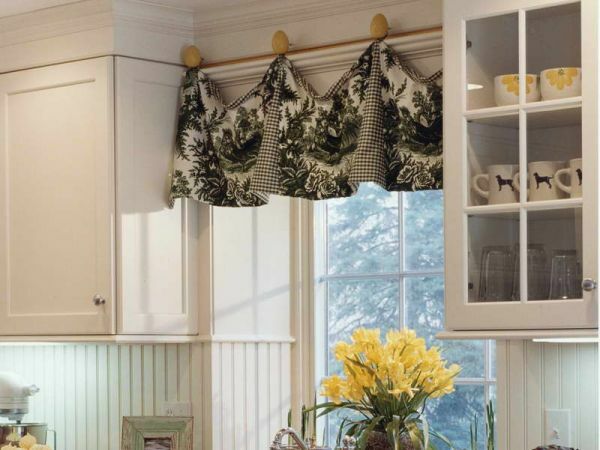 When you are decorating your kitchen with ordinary curtains as window coverings you can use any inexpensive curtains just to maintain the style and cover up the size of the window. There are other types of curtains that you will get according to the shape and as per your window style and within your budget. These curtains will help to determine the scope of the project. When it comes to window treatments, then fabric and colour, length and lining become important. Fabric or material selection is a vital element of choosing curtains because it is the material that will determine how the curtain will function and hold up over time. Selection of material is very delicate because if you select the heavy material for the curtain then it may not fold crisply. You cannot select any light weight material as they cannot fall well. While selecting the fabric you must keep in your mind about the length and lining of the curtain. 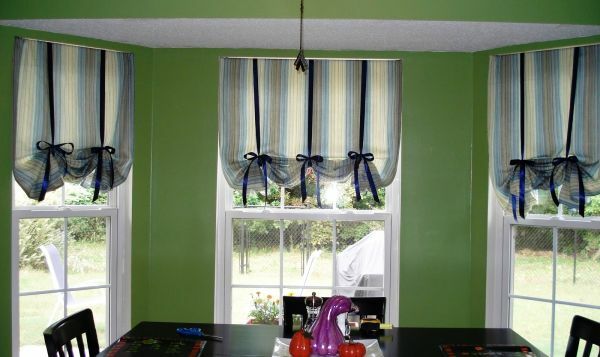 Your selection of curtains will show your creative outlook. It is just like a picture paint that says so many words through the painting, similarly the right curtain will give a dramatic that you want to give it in your kitchen. You can avoid the light by the right curtain. The curtain can keep the kitchen cool or warmth by the fabric of the curtains. There are creative ways that you can use in your curtain. The kitchen is an important part of the house and you can decorate it with gorgeous, bright coloured curtains. Framing your kitchen windows with the suitable window treatment makes a big difference in the look and feel of the kitchen. The decoration depends on upon your taste and temperament. It also depends on the location and size of your kitchen windows, depends on the theme that you wish to apply to your kitchen windows. Theme and style are the important factors that you have to consider when you are selecting the window curtains. You must have a kitchen window or many windows, through which the light comes into the room. These windows also do the job of ventilation. This can be the focal point of the room especially if you have a garden on the windowsill. While you are refurbishing or designing your kitchen you should think to cover your windows for maintaining the privacy. Now the question is what type of curtain or blinds you want to use for your kitchen windows. You will get different style and designs in both but you would definitely prefer to give a modern look to your kitchen hence you will select the curtains. Recycled glass countertops are different from trendy granite and quartz countertops. These are not commonly seen. These countertops are very stylish and can easily add personality to the kitchen. But nowadays this style is gaining popularity among the designers and homeowners who want to stand out from common. They add unique elements in the kitchen. It is not an easy job to select perfect windows for your home. There is the different option that you can get in the market. You have to select the windows based on cost, based on utility, specialty windows, double hung versus single hung, bay or bow windows, skylight windows etc. When it comes to decoration then kitchen, don’t ignore the curtain. The window styling can bring the whole place together.